Opening Ceremonies: Club President Elect Tracy Shaffer called the meeting to order. Invocation by Larry Fernald and we said the Pledge of Allegiance. Door Prizes: Julie Bouchard Flex-It Gift Card, Dom Efter Bottle of Wine, Joann Brown Finn’s Gift Card, Gene Pellerano Box of Chocolates. Happy Dollars Highlights: Tony Bouchard, Clyde Cushing, Nancy Mayo, Gene Pellerano, Allegra Pellerano, Ashley Johnson, Jo Cooper, Dave Wells, Charlene Churchill, Carl Lusby, Dom Efter, Joann Brown, Laurie Fogelman, Debbie Ehrlenbach, Lincoln Ehrlenbach all gave happy dollars towards the 2019 Wheelchair Project for this quarter. Our Rotary Auction raised $25,426.10 and a check was given to MCMH in the amount of $12,713.05! The Rotary Auction Feedback Form was passed around and will be emailed to members to fill out and return to Tracy Shaffer. Pancake Breakfast Meeting and Silverware Wrap Party is on Monday, June 25th at Timberland Acres RV Park. Burgers and Hot dogs will be provided by Debbie and Lincoln Ehrlenbach. Please bring something to share. Pam Cushing is looking for members to sign up for the Greeter List. 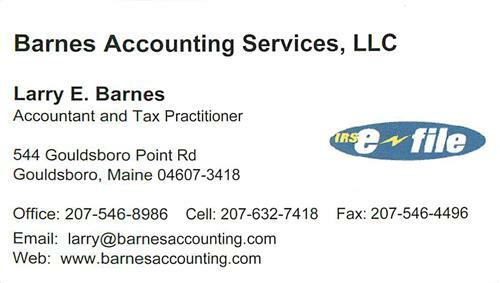 Please contact Pam. Marian Wells, Director of Membership recognized Joann Brown and Dave Wells for completing the Rotary Passport and both Rotarians received a Rotary Vest! Clubrunner. Membership currently consists of 61 members, both active ordinary, active exempt, and active associate. a 50% attendance requirement), 6 active ordinary associate members (1 meeting a month required, half dues and no voting rights), 7 active exempt members (no attendance required, full dues and voting rights) and 4 honorary members (no attendance requirements, no dues and no voting rights). For the months of March 61.64%, for April 61.61% and for May 66.68% were the attendance percentages that were reported to the District. Through year end we are favorable to budget $1,819.63. This is due to the ability to use 2017 auction proceeds to offset 501c3 and scholarship expenses. We currently have $17,160.64 in cash allocated throughout two financial Institutions. The CNB Accounts will hold the Community giving budgeted funds and TD Bank will hold operating and event funds. This will make our cash flow manageable and transparent. > In analyzing the programs from 2017/18, we find a deficiency in the area of Foundation. We will try to address that in the coming year. We have received directly or through online submissions EREY donations totaling $10,881.00 to date. This puts us at 167% of our goal for the fiscal year to date. As of June 18 2018, 40 Club Members had made an EREY donation for fiscal year 2017-2018; 34 of whom made donations of $100 or more over the course of the fiscal year (“Sustaining Members”). Approximately 65% of the Club’s Active Members participated in EREY this fiscal year; up from 37% in fiscal year 2016/2017. Additionally, we doubled the number of Sustaining Members from the previous year. Ellsworth Club’s per capita contribution to the Annual Fund for 2017/2018 is $181. For the fiscal year, the District’s per capita is $65. 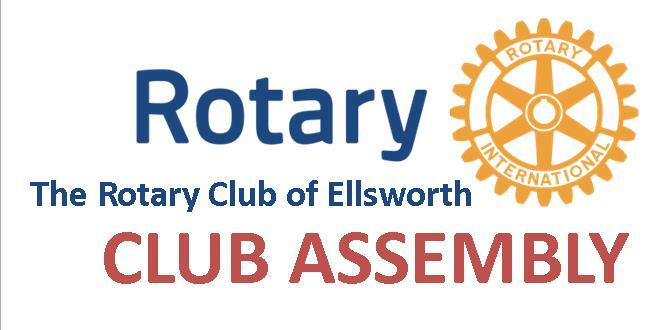 Ellsworth Rotary Club is 2nd in a district of 50 clubs for EREY giving for this fiscal YTD; trailing behind West Bay Club in Camden, ME, which has contributed $11,911.50. The club with the third largest Annual Fund contribution in the district is Quebec, QC, with $6,527.43. To date, seven Club Members have signed up to be Paul Harris Society Members. Paul Harris Society Members donate $1000 to the Foundation each year. The last $25 gift card drawing for this fiscal year will be held during the June 26, 2018 club meeting. Every Rotarian within our Club who has made a contribution towards EREY during the 4th quarter of fiscal year 2017/2018 as of June 25, 2018 will be entered to win (except Dom and Arlyn, who are sponsoring the prize). If a member has already made one or more donations totaling more than $75 for this fiscal year, they are already entered in the drawing. A successful year with honoring HCTC students at four different meetings along with guest speakers from various industries. Next year we will go with 3 meetings with four students at each one. We increased the number of scholarships awarded and next year will look into considering students from schools other than Ellsworth High School. The award dinner for EHS awards excluded parents and family members. It was a resounding success and we will do the same next year. This year we have participated in twenty projects for a total of 2,450 volunteer hours. Along with our standing projects we participated in 5 new projects. Along with finishing up our SPCA District Grant project. It was a great year for service and 2018-2019 will be just as busy with District Grant project at Special Children’s Friends kicking off in July. Membership Night was held November 7, 2018, at China Hill with seven invited guests. To date only one has followed up and completed all requirements for membership, Alicia Johnson. I bring her name up for BOD approval tonight, and hope to have general membership approval for induction in early July. She recently retired from her position as housekeeping manager at Ramada Inn and is an active volunteer in the community, including the hospital Poinsettia Ball, Chef’s Gala and the Portland Salvation Army Camp for children at Sebago Lake. Alicia has attended three meetings and worked setting up for the Auction. The Be Our Guest cards for attending a meeting with a free meals were distributed to members. Use has been minimal. Seven Rotarians have completed the Passport to earn a free Rotary vest. New members this year include Allegra Pellerano (under 40 year of age), Marc Rich and Dave Wheaton. Current Membership as of May 30, 2018, 61 active and 4 Honorary members. We will lose two Assoicate Members: Moira, and Suellen as both are relocating out of the area. Membership committee members have attended a Chamber After Hours and the Leadership Hancock County Graduation program to encourage Rotary membership, but to date we have no prospects from either activity. Dominican trip, 9 Ellsworth Rotarians, and three from Saguenay Quebec Dist 125 wheelchairs along the eastern part of DR. Additionally we toured the batay and Marshall Smith school, and in conjunction with Good Samaritan hospital held a party for the children, clown troupe, lunch and be any babies funded by our happy dollars. Spoke with Tracy Dowling at Moore Center as need will change with school summer recess. If any interest, I will contact Beechland site and find out when there are opportunities to read there. Will start working on the “Rotary Reads Day”, September 18, with Tracy, and DE YMCA. Research Hootsuite- an application mentioned at PETS that would push information to accounts such as Facebook, Twitter, Instagram etc. District Governor Lincoln Ehrlenbach thanked Club Members for their support for the year and for everyone’s hard work at the Summit. Health Check: Tracy Shaffer passed around The Rotary Health Check for members to review from the April meeting.